Should you share client testimonials on your website? And if so, what kind of testimonials should you publish, and how should you go about getting them? Do people even read or trust reviews these days? 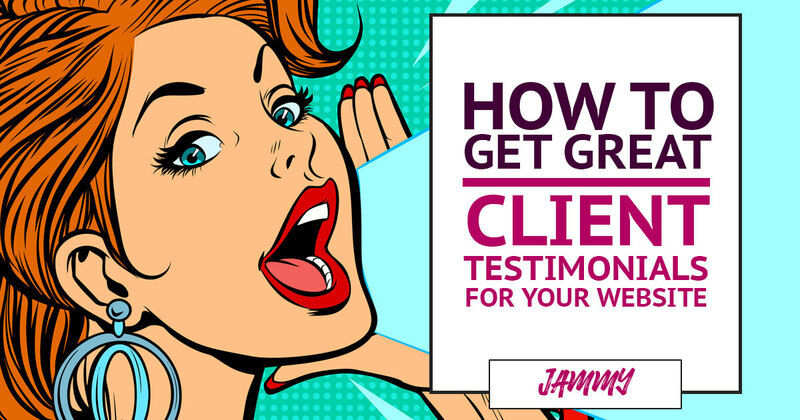 These are some of the questions we get asked all the time by our clients, so we’ve put together this post with our best tips to get great client testimonials for your website. Why should you bother with testimonials? Being able to share tangible proof that you’ve delivered results for your previous and existing customers and clients is fundamental to the success of your business. They help you build trust. They show your website visitors that you helped your past clients to get real, tangible results. They help you increase your level of authority. If you can share testimonials from people who are highly respected in the industry, you immediately become more credible and authoritative in the eyes of your prospective clients. They help you showcase the types of clients you want to attract. For example, we love working with personal brands, so on our website, we mainly feature testimonials from personal brands we’ve built websites for. However, in order to give you some of the above results, client testimonials need to be well-thought out and well-crafted. Not all testimonials are created equal, so don’t go sharing just any old review! Let’s dig a bit deeper into that. Do generic reviews help you get more clients? You know the one we’re talking about. Those big, boastful testimonials where people only promote themselves. But think about it, do website visitors even read those? Do they trust them? And do they really help consumers make informed buying decisions? Of course, when you’re just starting out in business, it’s only natural you’ll want to get some testimonials on your website (and any would pretty much do). But when you’re well-established, be sure to remove any old or vague testimonials that were provided to you by someone who isn’t your ideal client. We hate to burst your bubble, but these are exactly the kind of reviews you don’t want on your website. They don’t offer anything in terms of content, and people glaze over these kinds of testimonials. You probably do as well. After all, isn’t ‘being friendly and professional’ the bare minimum you’d expect from a company or a professional you hire?! Do people even trust star rating reviews? As consumers, we’re all too familiar with big review websites like TripAdvisor or Yell, where you have an abundance of these ’empty reviews’. All people expect to see on these sites are 5-star reviews – the more the better. But star rating reviews probably aren’t going to add much value to your website. We all know that a website owner has full control over what gets published on their site. You wouldn’t show a 3-star review or a complaint someone has left you, would you? You’d be shooting yourself in the foot! So if someone visits your website and sees you have plenty of 5-star reviews that say you’re friendly and professional, they could get a bit wary. What about all the other reviews you haven’t shown? What’s everyone else saying? Instead, what you need to show on your website is the actual value you deliver. What your prospective customers and clients care about the most? The results you can help them achieve. The best way to convince them that you can help them get results is by showing them, in the words of your previous clients. So walk people through the story of that project – go through the ups and downs, the before and after, and the results you got in the end. Essentially, think about your client as being the hero of the story. 1. What problems this other person who’s just like them was having before they hired you. 2. What you helped them achieve. 3. How they’re now so much happier now, after working with you and achieving the results they were after. This is an opportunity to show your client’s transformation! Getting someone to leave you a review of this kind with no guidance is a tall order. So how do you get reviews from your existing clients that will appeal to your website visitors (and prospective clients) as well? We used to do that, and we can tell you that just doesn’t work. If you share that, you’ll have wasted the opportunity to show a potential client what it was like to work on that project with you! Instead, you want your testimonials to act as a sales tool and tell the story of the transformation you’ve helped your client achieve. What should I ask my previous clients to collect effective testimonials? Ask your clients specific questions that allow you to craft an effective testimonial. Of course, the types of questions you might ask may vary depending on your industry and field, but essentially you want to focus on the frustrations or problems your clients were having before working with you. So here are some of the questions we ask. 1. What problems were you having before working with us? 2. Why did you hire us? These are two very different questions, so make sure you ask them both! 3. 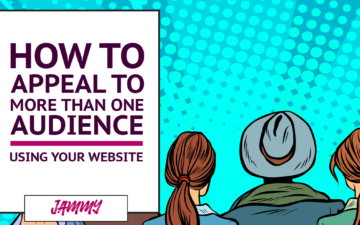 How does your new website solve your original problem? 4. 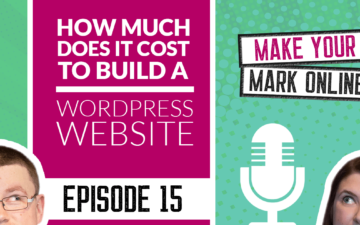 What results have you got since going live with your new website? These questions may not be relevant to you, but you could ask how working with you or buying your product or service has helped the client solve that problem. 5. What did you like or didn’t like about us or our service? This question allows you to get an insight into what it was like for your client to work with you. This is great for you and your business – you get some honest feedback and get to find out what people like (or don’t like) about working with you. It’s a very powerful process that allows you to discover problems that exist within your industry. Plus, you’re able to relate to your client. Listening to and understanding your customers shows that you care and makes you much better at what you do! 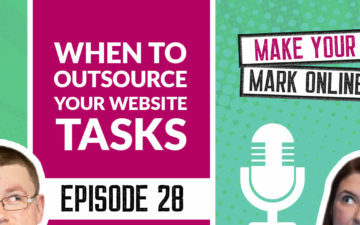 Not to mention that through asking these questions you can get plenty of ideas for content and tips to improve your web copy. How do I gather the information and craft effective testimonials? Everyone’s busy, and your clients are too. So how exactly do you get them to answer all these questions for you? We set up a video call with our clients shortly after taking their website live. And while we give them the final bits of instructions and make sure everything’s okay, we tell them we’d like to ask them a few questions to create a case study or testimonials to share on our website. Nine times out of ten, people are very happy to answer any questions we might have! 1. Have the questions prepared in advance, so you can ask them on the call if they agree. 2. Record the call if the client’s happy with that, or write the answers down. 3. Whenever you can, make sure you repeat their answers back to them, to check your understanding is correct. 4. Be prepared to probe a little and ask deeper questions if you feel the answers are too generic and don’t really capture the essence of the problem your client was experiencing. Marcus Sheridan talks about ‘the rule of three’, which says that the first answer somebody gives is usually the surface-level answer. It’s only when you ask three times that you really get down to the root cause of the problem. So get deeper and talk about the juicy stuff! Before you know it, you’ll have created your testimonial live on the call. Once you’re done, tell them you’re going to write this up and send it to them to make sure they’re happy with it. Why not take it a step further and ask for a video testimonial? Once you’ve had your call and have gone through the questions, why not ask your client if they wouldn’t mind recording a quick video testimonial for you? Video testimonials are absolutely amazing, and they don’t need to be long or complicated. A quick video recorded on someone’s smartphone will do. We know of businesses who’ll hire a video company to go out and sit with the client, shoot a video, and professionally record it and edit it. But you don’t have to go to such extent if you don’t want to. If you want to see an example of this technique in action, this is exactly what we did with one of the members of our online membership, Make Your Mark Online. 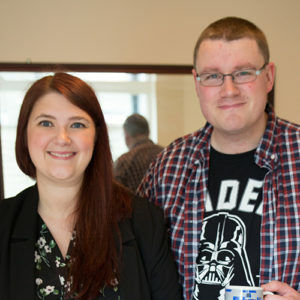 We provided the questions and asked Sara to record a video talking about her experience of joining our membership. Have a read of her honest review and watch her video here. Just remember that the most important thing (and what everyone wants out of a testimonial) is to see the results you got for your previous clients. Through sharing effective testimonials on your website, you want your prospective clients to believe they’re going to get those results too. You want them to relate to the testimonial. If you didn’t already know, we have a free Facebook group where we provide free training and free website critiques every Wednesday afternoon. We’d love you to join and put your name forward for a critique, so we can help you get better results from your website. And if you want to get a lot deeper and get tailored advice and support with your website, you can join the Make Your Mark online membership. This is our signature membership community where we help personal brands build and grow a successful business website. The doors for the membership are currently open and will close again in two weeks. Don’t miss your chance to join for only $39 a month or $390 a year! Great process for garnering rich testimonials…thank-you. And yes, the membership site does ROCK. You guys are so generous and knowledgeable. It’s so great having you in my corner as I revamp my website! Video testimonials are some of the most important forms of media for increasing conversion in ANY industry or business. It’s something I’ve worked with many companies to develop, because having a few testimonials, or a testimonial montage, can mean the world of difference when it comes to produce hundreds if not thousands of more sales every day. Love the article!